Hi, everyone! This August has been eventful already, and it’s not even half over! XD In the coming weeks I’ll be preparing to attend my first convention out of state, and third convention overall, and putting together the first two reward packs for the kind people who are supporting me on Patreon! But before too much stuff happens and I have to write an epically long update, I just wanted to write up something to share what I’ve been working on recently! 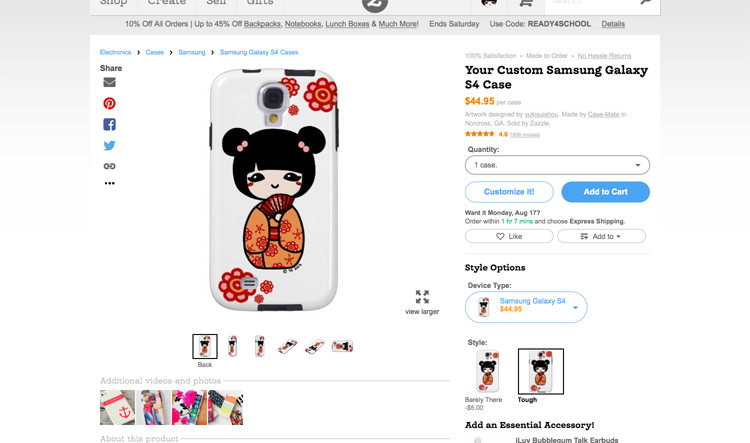 Phone Cases with My Art, Now on Zazzle! 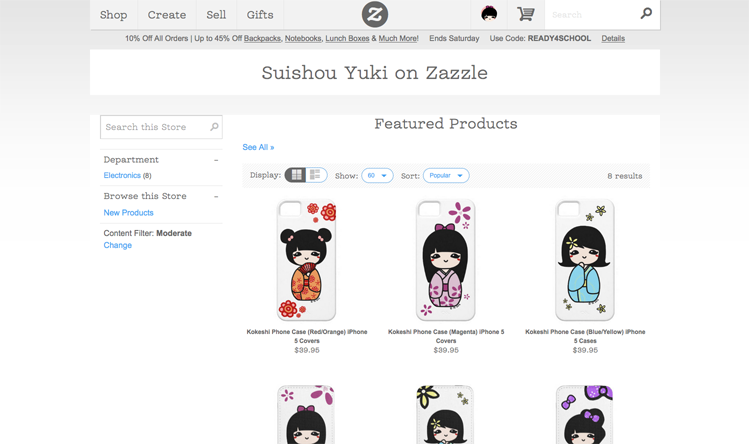 Two days ago, I opened my own Zazzle store, where you can now find my artwork on products that aren’t paper! Right now I only have phone cases and pouches, but I intend to release other products with different designs in the future. The design is incredibly simple, and has no banner because I can’t get it to work properly even though I followed the specifications… -A- The banner gets centered, but the left and right sides get cut off. If anyone knows how to fix that, please let me know. I’d like to make the page more colorful! 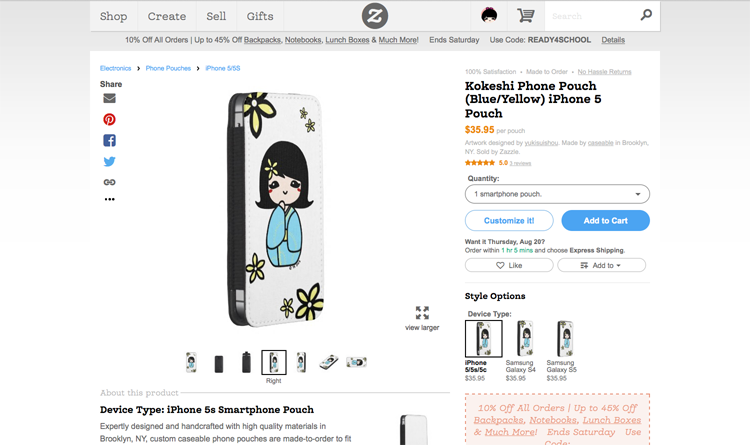 Although the listing says “iPhone cases”, you can choose other cases as well! Some look better than others depending on the design. If you’d rather keep your own phone case but want additional protection (or if you’re like me and want to protect your custom phone case as well XD) I also have phone pouches for sale. Like the cases, you can select a different style if you have a different phone model. 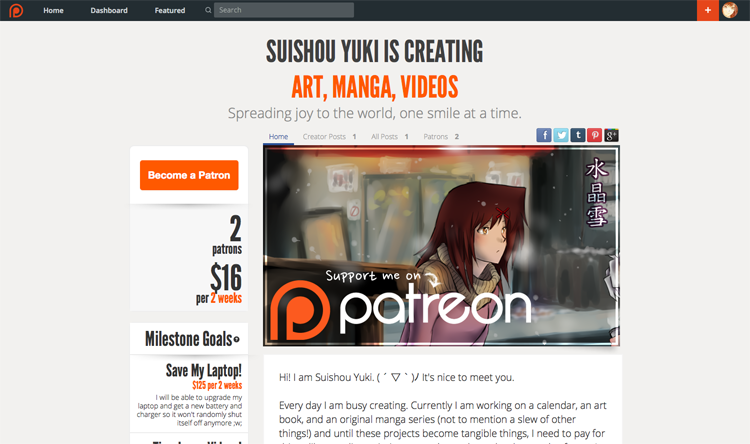 For those who don’t know, Patreon is a platform where fans support creators by becoming patrons. It’s a little like Kickstarter in terms of being a crowdfunding platform, but it’s quite different because supporters give a smaller amount per creation (or monthly), and creators continuously put out new content, rather than a one-time, large-scale project. Often, they give patrons rewards or perks as a way to thank them for their support. 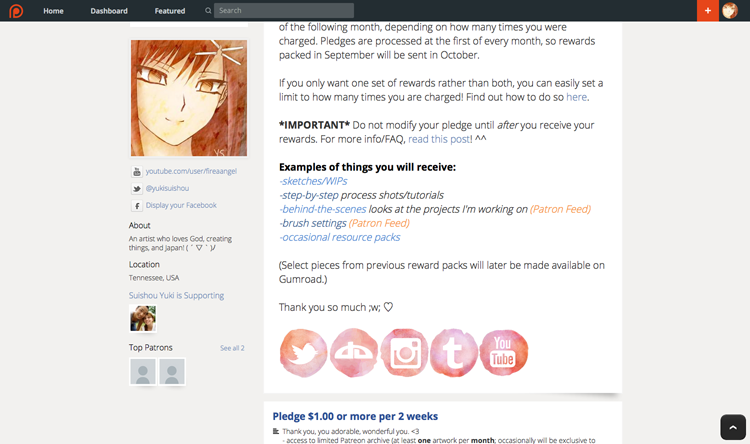 If you would like to learn more about Patreon or how it works, please check out my FAQ post here. Thank you!! Posted in Announcements, ArtTagged art, iphone, patreon, patron, phone case, phone pouch, prints, storenvy, suishou, yuki, zazzleLeave a Comment on Patreon and Zazzle Store Launch!